MPO provide reliable high performance interconnects of up to 24 fibers in a small footprint. 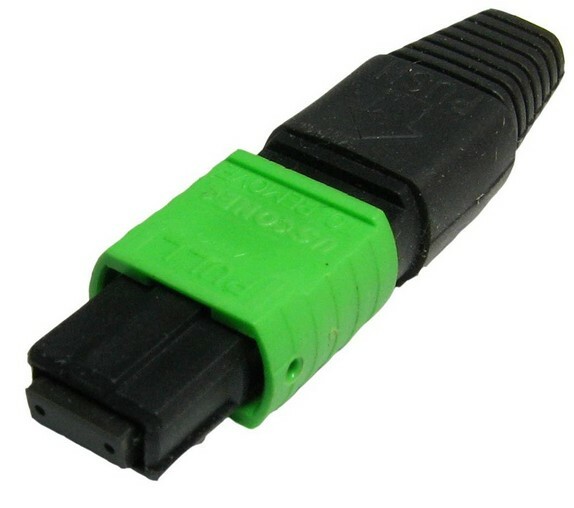 The MPO connectors utilize the precision molded NTT compatible ferrule which connects four to 24 fibers using bare ribbon or ruggedized ribbon cable.So MTP/MPO connectors are widely used in High-Density And Multi-Fiber Interconnect Applications. MPO connectors meet IEC 1754-7 and TIA/EIA 604-5 standards. The difference between MTP connector and MPO connector? What are the advantages of MTP connector? Removable connector housing – possibility to change the gender of connector even after assembly. Better physical contact – done by special spring design and superior design of guide pins. Is MTP connector compatible with MPO connector/adapter? MTP connectors are fully compatible with MPO installations. MTP/MPO cables are used in Ribbon type multi fiber assemblies. there are several fiberglass connections in one MTP/MPO cable .